When creating a project you are able to choose the customer you want the Ivy project to map to. This means that all documents associated with this project on Ivy will be associated with the project of choice. You need to make sure you click on Additional Settings to see the QB Mapping Section. YOU MAPPED TO THE WRONG CUSTOMER? What if you didn't set up this mapping and you now realize that Ivy created a new customer on QBO when you really wanted to map to a customer you already had set up. No worries! You simply click to edit your project, scroll to the bottom, choose the right customer, and click save. This will identify ALL documents on Ivy (and payments ect...) that are associated with that customer on QBO and move it to customer you just chose. 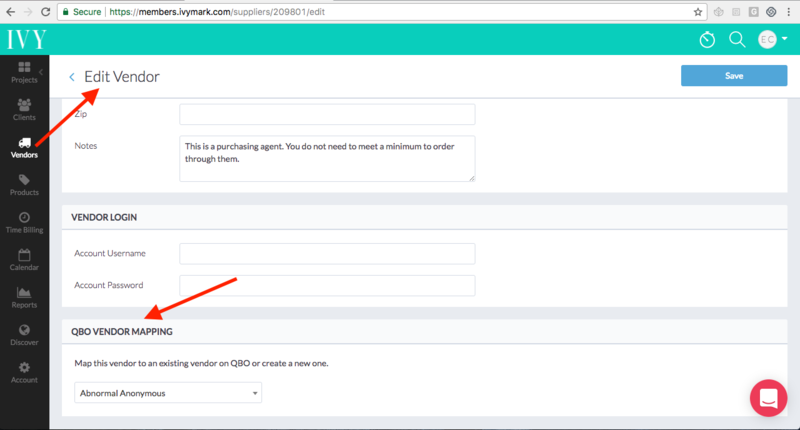 You can easily pre-map (or remap) vendors to existing vendors in QBO using the same technique.